Running in slow motion! Humorous catch! WOW - that is an amazing capture,Angelique.Excellent timing,composition and reflections!Super work. Awesome shot! I love the timing and composition. What a great photo! 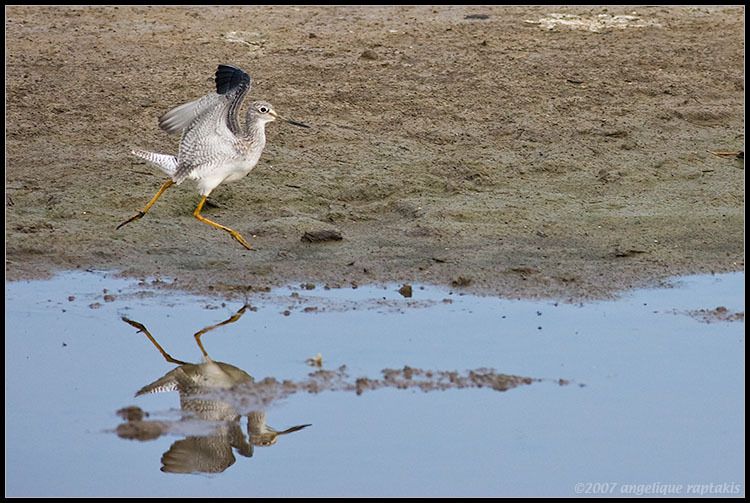 Not only did you get a photo of the sandpiper running, you captured his/her reflection in the water.